At the end of the day,…all that is left is rest. 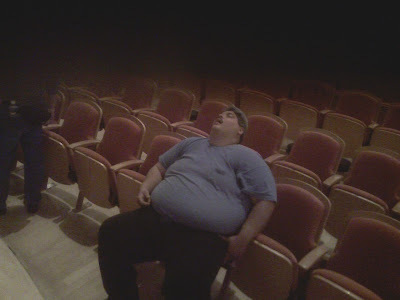 Legendary stagehand “Big” Manny Rodriguez got the work call and misunderstood. It was a “car loading” job, and he thought it was a “carb loading” session. He came equipped with a custom spaghetti fork. Thanks to Fred Schwendel for this photo of a legend.